whynot? is a very dog friendly collection of almost 20 small independent shops under one roof in the centre of North Berwick. It includes a great cafe, where unlimited dog treats and pats are free! 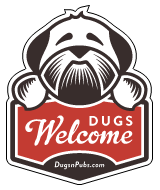 There are a total of 11 dog friendly listings in the E Lothian Shops category. Please log in, or sign up as a member to view all listings.